While browsing some of the real estate listings (yes, sometimes I do that just for fun), I came across a house that I instantly fell in love with. It’s my dream house from top to bottom, and one of the best parts is that it has a bright orange front door. So, ever since then I’ve had a thing for colored doors. 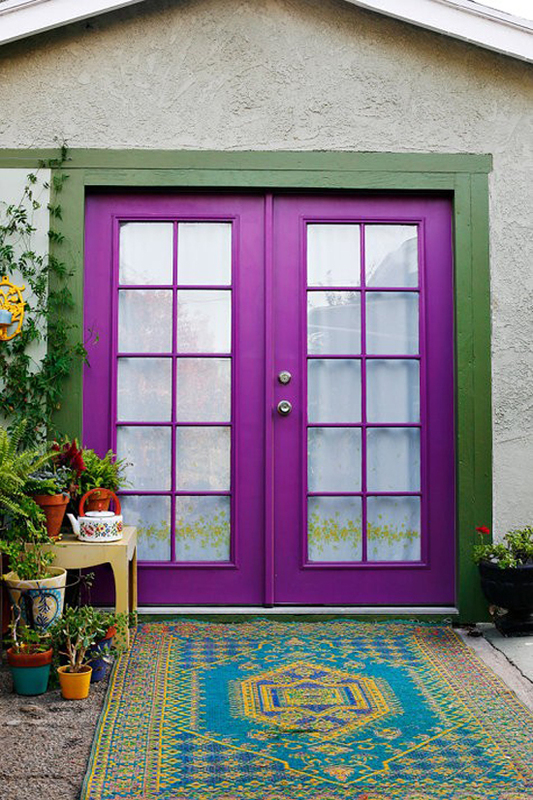 The front door is a person’s first impression of a home, and a splash of color just gives the house some personality. These doors just make the houses look happy, you know? If I didn’t currently live in an apartment you can bet I’d be out front right this minute with a can of (orange) paint. What color would you choose? I browse the real estate listings too, but it usually depresses me because of the ridiculousness of DC real estate instead of inspiring me. 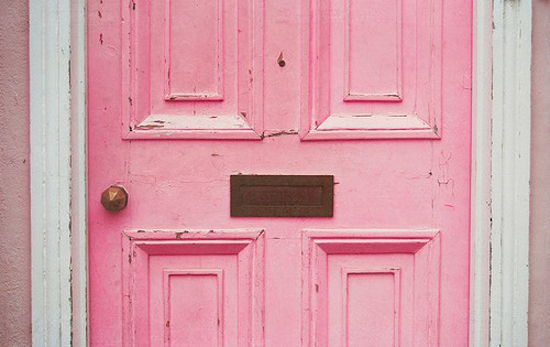 These doors are fabulous and I think I'd go for a bright pink (if the Boy would go for it). 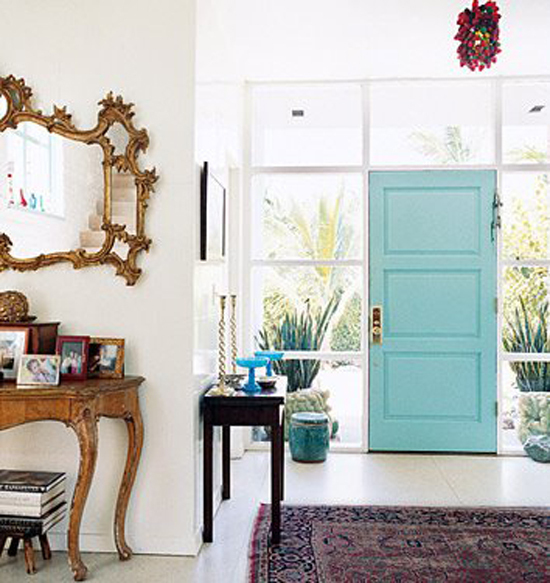 Love bright doors…they are amazing; especially the ones in your round up. I've heard that some HOA won't let you have colorful doors. How sad is that? 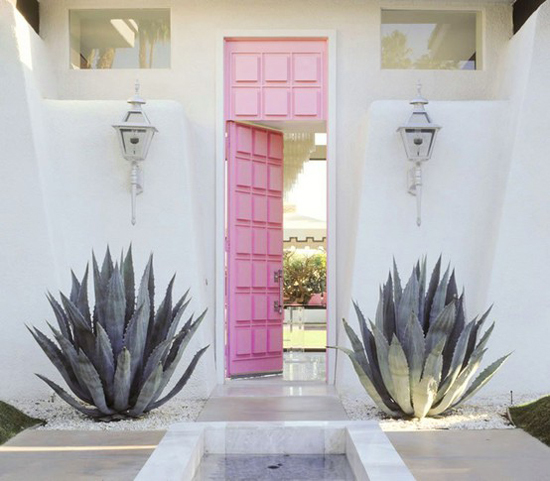 Love this idea, now I have to convince my husband to let us paint our front door an accent color like this. So many pretty doors, makes you want to go inside! Oh my God the purple! So cool. LOVE those doors! 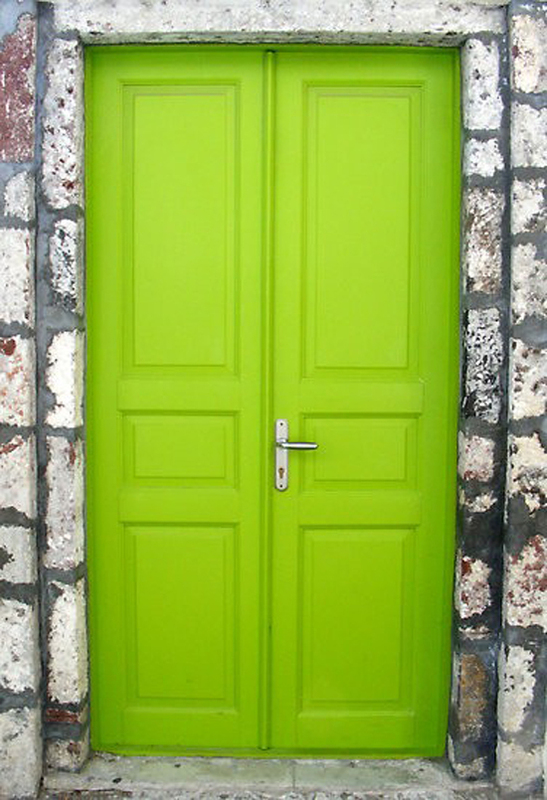 I've seen coloured doors before, but never this bright! Love the first three! 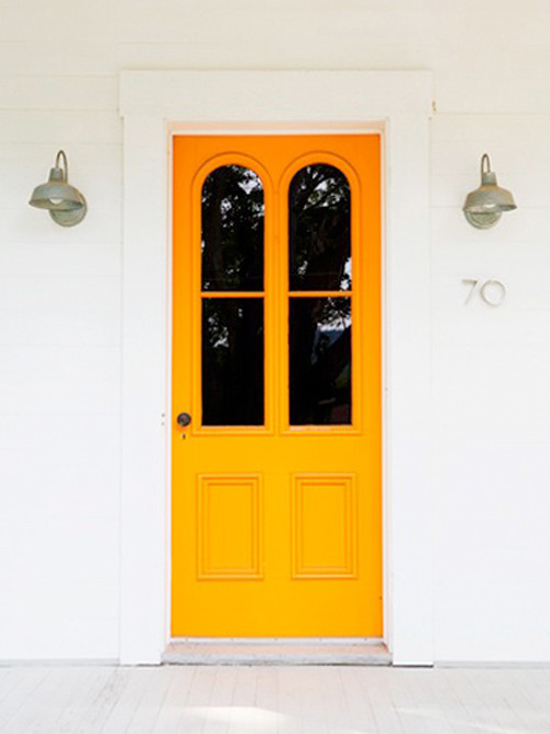 I'm in love with the idea of colored front doors! The ones you've found are gorgeous! These are the kind of doors I'd love to have. A bright entry. I do love a good door. My boyfriend thinks I´m crazy but I like doors. And doorknobs.